A guide trek to the big water falls and a mini forest Horseback riding Camping, Rapelling, etc. Looking to experience the greatest adventure of your life? Be among the first to brave Asia's Longest Dual Zipline and fly like Superman from a launch point at 4,700 feet above sea level. With speeds of up to 90 kph, zoom through lush greenery and breathtaking views only found in the mountains of Dahilayan. Guaranteed safe and fun for every age, Zipzone has become the ultimate adventure destination for young and old alike. Since its opening in September 2009, Zipzone has been visited to over a thousand enthusiasts, including a courageous 2 year old and a 77 year old grandpa. Get the thrill of your life with Zipzone's 840m scream inducing ride! Bond with families and friends amidst Dahilayan's cool and foggy weather. This is one amazing adventure you will never forget! Aiming to be one of the best TOURIST destination in the city of golden friendship, Jatico Adventures is equipped with world-class adventure amenities and multi- attraction facilities for your family and friends. It’s #1 Fun. It’s Cagayan de Oro. It’s Jatico Adventures. It’s More Fun in the Philippines. 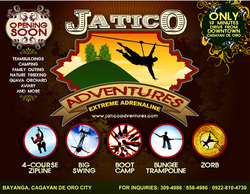 Jatico Adventures is another exciting addition to Cagayan de Oro’s reputation as the “adventure capital” of Northern Mindanao, Philippines. 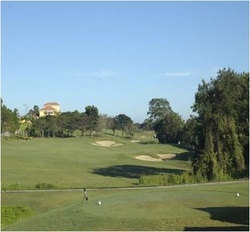 It is strategically located extremely close to the airport and 19 minutes drive from downtown Cagayan de Oro. Aiming to be one of the best destination in the city of golden friendship, Jatico Adventures is equipped with world-class adventure amenities and multi- attraction facilities for your family and friends. Take a leisurely stroll and be in awe of the 360-degree remarkable view of the horizon and the neighboring mountain ranges. 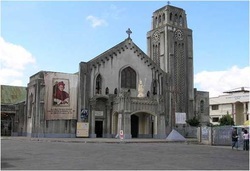 It is the city’s main Catholic Church and the seat of the Archdiocese of Cagayan de Oro. The original church was built in 1845 by the Augustinian Friars but was destroyed during the American bombardment in 1945. Only the wooden cross in front of the church survive up to this day. The stretch from Baraga Dansolihon to the city provides you with a panoramic view of the river’s rocky walls, untouched vegetation, and the sight of the resting haven of monkeys and snakes. 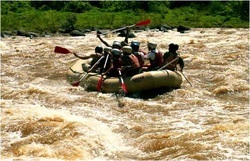 It has breathtaking rapids that provide the more adventurous with thrills and challenges of rapids interval not less than 10-15 minutes of each other. 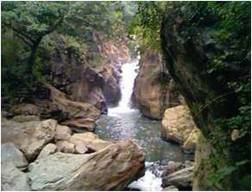 Cagayan de Oro River has everything that makes for a memorable experience with awesome roar and power of water cascading over rocks and boulders. Located at Barangay Mambuaya this city; the cave entrance is flowing water from underground stream. The cave has a small opening that seems too narrow to be passable, it has a six (6) inches airspace between ceiling and water that you have submerge yourselves one by one, equipped with a helmet and a waterproof cap lamp. 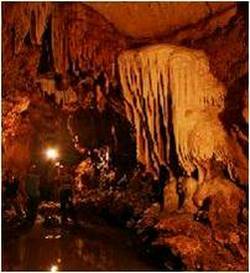 The cave contains a beautiful sparkling formations which is called the CALCIUM CARBONATE (CaCO3) or CALCITES. These stalactites and stalagmites, white and brown, are sign of oxidized materials that take 50-60 years to form an inch. the cave is definitely spellbinding, There were formations of flowstone, gurpool-resembling, rice terraces, transparent crystals and pictureque speleothems, such as cathedral drapes and icons. Everything was simply beautiful and awesome. 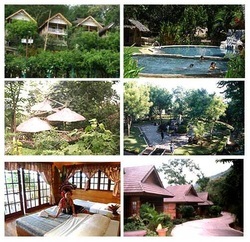 Capture the ethnic spirit of Malasag Eco-Tourism Village and Gardens. It is a fascinating living museum that showcase the different houses of the indigenous tribes of Northern Mindanao including some of its colorful flora and fauna.The village and gardens are set in picturesque Malasag Hills where one can walk in its winding paths and admire the breathtaking view of the city's coastline and the Macajalar Bay. Staffed by Lumads dressed in thier weaving, basket making and thier intricate dance steps. 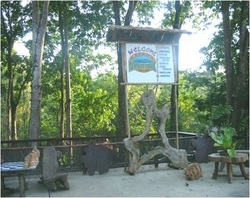 A must place to visit when you're in Cagayan de Oro City the heart of the city and is 10 minutes away from the airport . 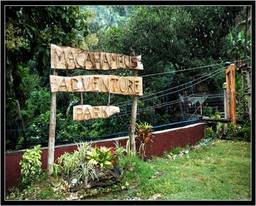 Is the Macahambus Adventure Park that is located in Barangay Lumbia and Bayanga. It is only 25 minutes from the park has a lot to offer for thrill seekers. Imagine yourself walking on a stay bridge amidst gigantic Century old tress and view the specular Macahambus Gorge below. the Sky Bridge is 120 meters long and 120 feet high. For added excitement, you can rappel down to the Gorge try our 120 meter Zip Line or Slide for Life. How's that added adrenaline rush? Nature has blesssed the City with the wonder of F.S. Catanico Falls. Enhanced with moss green ferns, the partual raging Rapids keep pounding on giant boulders, rocks and pebbles. Beneath the clear blue waters. it has withstood the passage of changing seasons. It is only 30 minutes by car from the city proper. This is the site of famous Battle of Macahambus Hill which took place on June 4, 1900, the first Filipino victory against the Americans. The cave itself is a picturesque spot. today, it's a short cavern leads to a veranda that overlooks the meandering Cagayan River below. 200 meters away the Macahambus Gorge. This is actually the steep precipice where the enemy forces fell to thier deaths. Today, a flight of over a hundred steps leads down the floor of the gorge where there is an underground river that comesout from one cave to another cave. 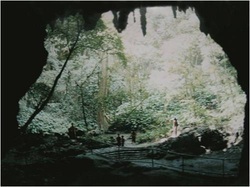 the cave is covered with a lush tropical arbor of forest growth. An 18 hole par 72 world class all weather championship Golf course designed by world renowed designer Robert Trent Jones II, It is complete with facilities & amenities- such as modern clubhouse, function rooms, pro-shop, driving range, practice putting greens and others. Liceo de Cagayan University's threater with state-of-the-art acoustics and concert caliber pianos,and repository of antiques and heirlooms collected by one of the city's oldest families. 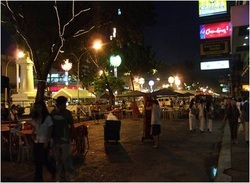 This is a street party held at the City Golden Friendship Park (Divisoria) on Friday and Saturday from 7:00 PM to 2:00 AM . It’s a street café set-up here one can have sumptuous native delicacies, mostly grilled food and cold, cold softdrinks and beer. Live bands provide good music and entertainment. Along the stretch of Divisoria, engage in repartee of spiraling or sliding prices of vintage or imitation clothes, shoes, accessories and gadgets at the Night Market. Acting on the orders Pres. Roosevelt due to the request of the Australian Cabinet at Canberre. Gen. Douglas Ms Arthur with his family, wife jean, son Arthur with seventeen selected service men sailed on board pt boats for Mindanao en route to Australia Gen. Douglas Mc. Arthur will head the newly formed liberation forces of Australia . Evading Japanese forces, they docked at the old pier located at macabalan, Cagayan de Oro in March 13 ---- at 7:00 am after a short briefing with his men from the pt boats and awarded them with silver star for gallantry. They motored to Del Monte airtrip the only remaining free airtrip that time. He was accompanied by Breg. Gen. William Sharp, then the commamder of the visayan Mindanao forces, He flew to Australia on Board B-17 bomber plane. 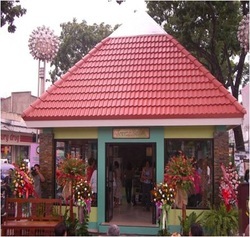 The Tourism Showhouse showcases the best of Cagayan de Oro’s tourist related and oriented activities, most especially its whitewater rafting adventure. 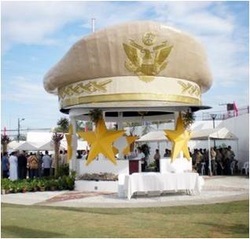 Run by the City Tourism and Cultural Affairs Office, it displays souvenir items. It is also where guests and locals alike can get information on where to go or take visitors as well how to get to places.